If you are 10 to 15 years old and looking for new friends, new challenges, new skills and heaps of fun then you will love Pathfinders. 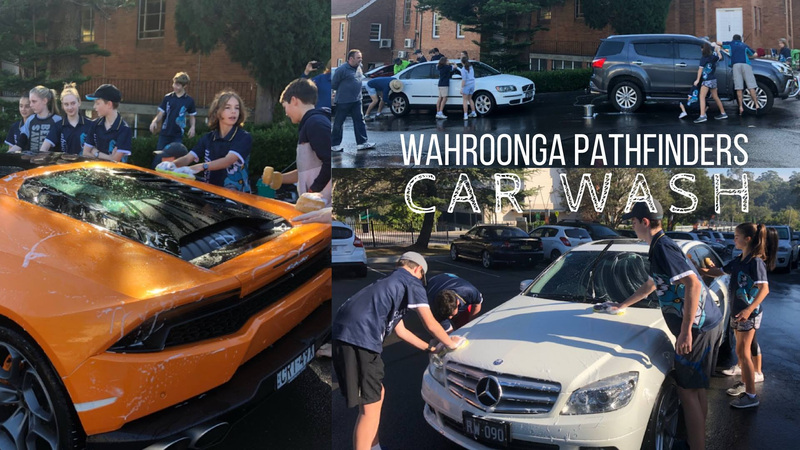 Wahroonga Pathfinders is your local club and we have members from Fox Valley Seventh-day Adventist Community Church (where most hall meetings are held), the Wahroonga Seventh-day Adventist Church and Mt. Colah Seventh-day Adventist Church and the local community. We are a small part of a worldwide Pathfinder movement of 2 million members and Pathfinders embraces all faiths. The Wahroonga Pathfinder club is over 60 years old and still going strong with over 65 members. Our aim is to give you the chance to grow in a safe environment and to have fun and challenge yourself. Pitching tents, lighting fires, hiking, orienteering, learning to cook outdoors, photography, crafts, knot tying, geocaching, are just some of the outdoor activities we do, while making friends and having fun. Sometimes it rains, sometimes we get dirty, and sometimes even a bit tired, but it all makes for a time to remember! The only requirement for membership is to be between 10 and 15 years and to promise to abide by the Pathfinder Pledge and Law. Parents and volunteers are with you to encourage and teach every step of the way. We have Fairs and Rallies and Camporees where Pathfinders from all over Australia come together and face new challenges and create memories that will last a lifetime. Every four years our Club goes overseas and completes the Routeburn Track in beautiful New Zealand. We are developing young people to centre themselves with a tripod of physical, mental and spiritual wholeness and to embrace the wonderful world God has created. When you discover this world and all its challenges, you will also discover yourself. Click here to Register to help out at a Hall Dinner. Chose a date that suits you.